Every so many versions, or version, AutoCAD/LT, Autodesk changes the file format of the DWG file. They also happen to change the DXF file format at the same time, a point often missed. AutoCAD/LT2007 and 2008 create R2007 DWG/DXF files. AutoCAD/LT2004, 2005 and 2006 create R2004 DWG/DXF files. AutoCAD/LT2000, 2000i and 2002 create R2000 DWG/DXF files. AutoCAD LT97 and 98 create R14 DWG/DXF files. 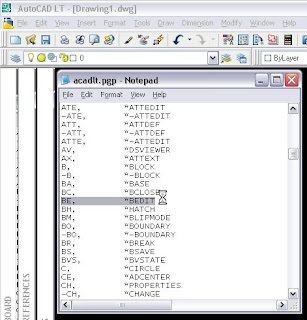 AutoCAD LT95 create R13 DWG/DXF files. AutoCAD LT V1 and V2 create R11/R12 DWG/DXF files. Click HERE for Autodesk's free viewer and converter when you need to open files in older AutoCAD/LT versions. For a list of changes from AutoCAD LT 2005 thru AutoCAD LT 2008, download the Release Comparison Matrix PDF file HERE. Web page summary HERE. Watch the free LT2008 demo HERE. 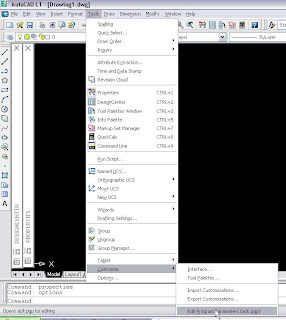 Since LT2006 customizing the toolbars, but especially the screen menu (pulldowns, right-clicks and more) has moved away from the realm of the CAD Manager and is mor easily available to the individual user. The LT cursor no longer moves smoothly across the screen, it appears to jump and stutter and makes selection of entities and drafting quite difficult. Tap the F9 key on your keyboard once and see if that helps: you may have turned on SNAP, explained in Help in LT if you don't know what that is. Clean your mouse, especially if it's the older roller-ball type (or roller-ball trackball): and clean the roller guides too, build-up can also exhibit such behavior. First, rule out the problem is the file by running RECOVER command (instead of OPEN) or AUDIT command if you are already in the file (remember to answer Yes to fix any errors found). You would like to abbreviate commands such as Layer, Chprop, AI_MOLC and more with simpler one, two or three letters for quicker typing or macro writing. These are called Aliases, and you can create them by editing LT's PGP file and adding or deleting what you need as you need it. To access the file, click on LT's Tools Pulldown Menu, Customize selection, Edit Program Parameters. When you are done, save and close this file. At the LT command line, type REINIT, select PGP File from the new pop-up, then click OK: this reloads the PGP file you just edited. Your changes are now available for use. You either need it, or you don't, but you are not sure how to change the current setting to get your wish when you first start up LT. 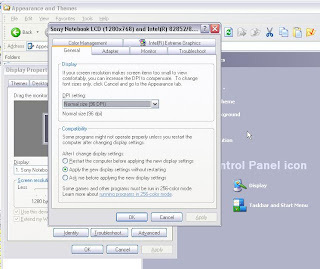 In LT2007 and lower, you need to start Options command, Select the System Tab, Startup section, use the pulldown for the desired startup method of your choice. Remember to click APPLY button then OK to set it. http://discussion.autodesk.com/ is a great location to read and post your questions and queries about all Autodesk products. For LT users, any and all versions of LT, the direct link is HERE. Some other areas of interest to LT users appear at first to not exist, but they are just placed in some interesting locations. For Print/Plot issues with LT, the ideal place to read or post is HERE. For Dynamic Blocks issues with LT, the best discussion area to read or post is HERE. For pointing devices (mouse or tablet) and displays (monitors), the discussion area is found HERE. For Drafting Techniques, try this discussion area HERE. 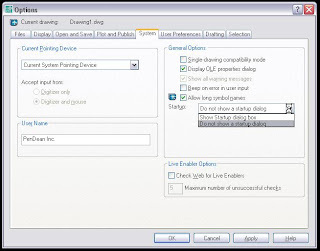 You need to send a PDF file of your AutoCAD/LT DWG file to a recipient not interested in any other format, and your version of LT does not have a built-in PDF driver in the PLOT command or you prefer something better than the one built-in. All you need is a PDF driver installed in Windows to PLOT to in AutoCAD, as well as the side perk of being able to Print to it from other programs like MSWord or MSExcel etc. to create PDF files too. 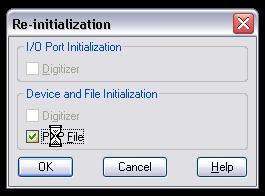 Free PDF drivers that work just fine in WindowsXP or higher are available through any internet search like this one, just click HERE. So you have this logo, or background picture, you want to insert in your DWG file: unlike full AutoCAD though, you cannot Imageattach the file as the command does not exist in LT. 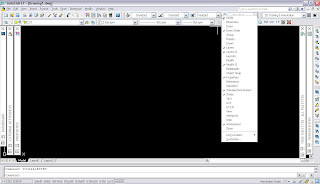 Simply open the Image file in another program/viewer, Select the entire image inside that program (if you cannot, you need another program/viewer application), then use Windows Copy/Paste ability to paste the image in LT.
For Raster Image files like JPEG or PNG or GIF, you can use Windows' own Paint program to do this. Make sure you do not insert the image on a layer set to no-plot. 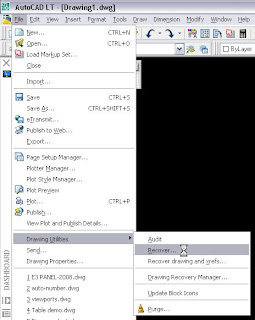 Example: Open Windows Paint, using the File Pulldown menu in that program, open your raster image file. In the Edit Pulldown menu, use Select All to select the entire Image, then select Copy from the same pulldown menu. Click over to LT, Select the Edit pulldown menu, Select Paste Special... (or type PASTESPEC) and select any Image or Picture selection that best meets your need, and continue with image placement. You correctly draw everything at 1:1 scale in Modelspace. 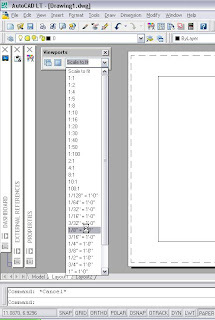 You have a Layout set with your titleblock, and a viewport(s) showing your drawing in modelspace. You need to set the scale to that viewport to plot the layout. Open the Viewports toolbar (see previous posting here), select the viewport, then use the Viewports toolbar's pulldown menu to select a predefined scale. If needed, you can resize the viewport to better fit your view, and double-click inside the viewport to pan your view inside the viewport (be careful not to zoom, this will remove your viewport scale). Don't forget to right-click the viewport and lock it so that the scale is never changed accidentally. You cannot Fillet, Trim, Extend, Chamfer or Hatch in a file, LT reports that the lines you select are "non coplanar". LT is still AutoCAD, a 3D program that has a Z height elevation: those 2D commands require your lines to all be on the same Z height, ideally set to O (zero). 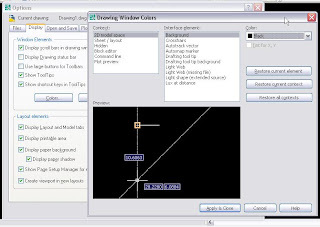 While in LT, go to the Tools pulldown menu, select Options, on the pop-up that appears select the Display tab, in the Window Elements section click on the Colors button, select Modelspace, select Background color (older versions only gie you the one choice), select color, then your choice. Notice that you can change other colors of other display entities and areas there, spend a little time and adjust all items to meet your visual needs. Right-click on any toolbar, and a list of all available toolbars appears: you will see a check mark next to each one that is on. Select the one(s) you want to turn on, when it appears on screen, just move it to where you need it. If you know the name of the toolbar, you can try using the -TOOLBAR command (note the dash): just type it at the command line and explore the options. You can also use this command to relocate a toolbar to mid-screen if for whatever reason you lost track of it: type F for float, and when prompted for position type 300,300 and that should place it in your drawing area to relocated. Explore this command in more depth in HELP in LT.